Big is not beautiful. We in America like to think big is beautiful. Big is inefficient. Go to Austin and sit in on a meeting (of the Texas State Board of Education). It costs you $5 to see a movie that funny. They got people on that board who think that the earth is flat. I can't think of anything worse than a person in my position to be grasping for some tax advantage. I'm delighted to pay big taxes. Big taxes mean big income. 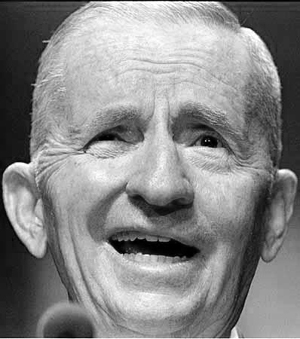 I pay taxes on all the money before it goes into the (Perot Foundation). I think the federal government is a charitable cause, too. I'm not a living legend. I'm just a myth. If you're not sure (about marriage), just hold off a while. It's kind of like buses; there's another one by every 15 minutes, and you can have a lot of fun looking. In many of our huge corporations we treat people like commodities. And people cannot be managed. Inventories can be managed, but people must be led. Nobody likes to be called a liar, but to be called a liar by Bill Clinton is really a unique experience. There's only two places in the world a 28-year-old can make half a million a year. That's selling dope and dealing in junk bonds. They're both destroying our country. Titles cost nothing. Titles mean nothing. Your country is like your children. It's fundamentally important that you love them, but you need to work on any problems that come along.